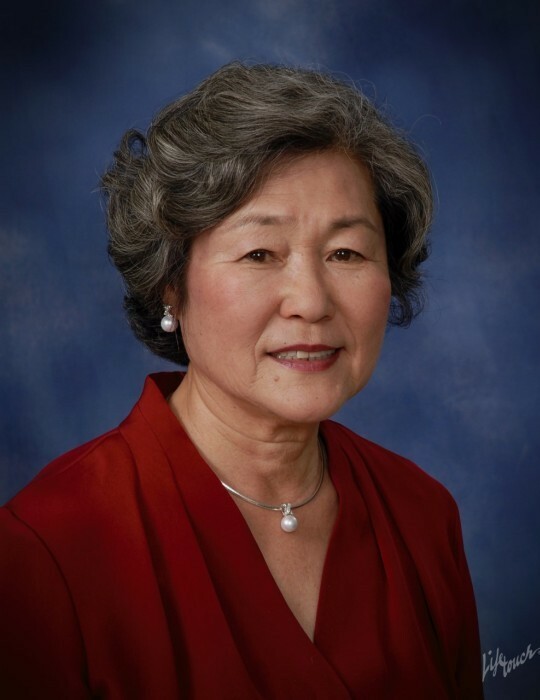 Obituary for Helen Hae-Kyung Kim | Drinkwine Family Mortuary, Inc.
Helen Kim passed away on March 16, 2019, at her home in Highlands Ranch, CO. She was born September 21, 1939 in Seoul, Korea, to Shim Dae-shik and Lee (Shim) Sook-ja. She graduated from Ewha Womens’ University with a degree in pharmacology. At the age of 25, she emigrated to the United States and married Philip Kim, with whom she shared her remaining 54 years. Helen had wide-ranging interests and was passionate about all of her many activities. Whether she was tying her own flies for fishing, hiking the mountains of North Carolina and Colorado to seek out the best wildflower blooms, or creating her own ikebana arrangements, she never did anything halfway. Her first priority, however, was always to her family. The oldest of five daughters, she took charge of caring for her aging parents, despite being a continent away at times. As a mother and wife, she was a fierce defender of her childrens’ and husband’s well-being, even until her last days. Helen is survived by her husband Philip, her son Lawrence Kim and daughter-in-law Nhung Van of Littleton, CO, and her son Stephen Kim and daughter-in-law Jane Kim of Briarcliff Manor, NY, as well as grandchildren, Rachel, Jordan, Alexander, Philip, and David. She is preceded in death by her father and mother, and leaves sisters Ok-Kyung Jeon of Ambler, PA, Youn-Kyung Shim of Lilburn, GA, and Sook-Kyung Shim, Hyun-Kyung Shim, and Mee-Kyung Shim, all of Seoul, Korea. Helen will be interred in a private family ceremony. Her memorial service will be held at Vi Living in Highlands Ranch - The Centennial Room, 2850 Classic Drive, Highlands Ranch, CO 80126 on Saturday, March 30, 2019 at 2pm. Please be advised that guests may drop off at the front entrance, but will be directed to the overflow parking lot. All are welcome to attend and to celebrate Helen’s life. Condolences may be sent to Unit 1605 at this address.